Hoarded cash and low interest rates are put to use in strategic buying. Mega-meat processors are elbowing for the consumer’s desire for more protein as evident by recent deal activity. According to a December 2013 survey of 2,211 U.S. grocery shoppers, more than half of surveyed consumers want more protein in their diet. One result of this market demand may be Tyson Foods’ $4.3 billion bid for meat processor Hillshire Brands. (Click link for related story) Meat processing, being a commodity business, has low profit margins, and purchasing a company with stable, sustainable portfolio of prepared foods (breakfast, lunch and dinner products), will help Tyson improve its profitability. Additionally, about three-quarters of Hillshire’s sales are in retail and would boost Tyson’s tight margins. Meanwhile, JBS, the largest animal protein processor in the world, lost on its bid for Hillshire Brands (Click link for related story), but there is speculation that it’s hunting for smaller size consolidation targets like the chicken-producer Sanderson Farms Inc. -- or Maple Leaf Foods Inc., which is recently focusing on packaged meats such as Top Dogs hot dogs and Golden Fry breakfast sausage after selling its bread entity Canada Bread Co. to Grupo Bimbo SAB this year. Another large food company interested in increasing its share in the protein market is Post Holdings Inc., which acquired Michael Foods (Click link for related story), with a large focus on egg ingredients, for $2.45 billion on June 2. Post is focusing on protein foods inspired by Paleo and Dukan dieters and other protein-rich trends. As noted on the IFT.org on April 21, 2014, "...the Michael Foods acquisition will be Post’s largest transaction to this point. Post has been working on a strategy of investing in large secular themes in the food industry. Post is showing its commitment on diversifying its business to capitalize on changes in consumer behavior towards increased consumption of protein and away-from-home breakfast occasions." For many food and beverage companies, especially those in the protein sector, there are positive signs that bode well for the value of such regional and national businesses that will likely spur further M&A activity. Private and public companies’ valuations have been rising for the past several years as a result of steady, good economic times (higher profitability) and the low cost of money (low interest rates). In a study by Moss Adams Capital LLC in which such sectors as Packaged Foods, Baked and Snack Foods, Confectionary, Protein, Dairy, Fruit & Vegetable, and Beverage were monitored, most public companies had a median EBITDA (earnings before interest, taxes, depreciation and amortization) in excess of 10 as of Feb. 5. The average middle market company (companies that range in revenue sizes $20 million-$100 million) EBITDA multiple is six to eight. 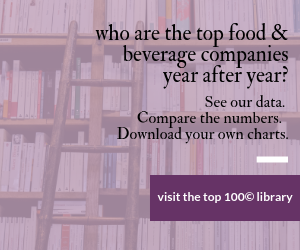 Additionally, food and beverage companies’ values average 25-60 percent above similar-sized non-food and beverage businesses. As the stock market continues to rise (the S&P index rose 32% last year) and companies continue to hoard cash and reduce debt, stockholders eventually will pressure management to make acquisitions, increase dividends or expand organically by hiring or increasing capital expenditures. One of the fastest methods to strategically grow a company’s market share or profitability is by acquiring other companies that have synergies with the acquiring company’s operations or that would provide economies of scale to improve short and long term profitability. The compounding effects of economic optimism, rising valuations, and pent-up cash will likely continue to produce a steady stream of M&A. Nestle is a global company that provides nutrition, health and wellness products. With the world an unstable place, the U.S. is the safest bet for growth. Post adds $2.0 billion revenue "in attractive categories." Contingent on Hillshire canceling its pending acquisition of Pinnacle Foods.